Beau Clowney Architects in downtown Charleston, SC is searching for an architect or intern architect to join our team. Our collaborative studio environment allows individuals to work on all aspects of many projects directly with the managing partners. We strive to provide thoughtful and sensible designs on projects located throughout the region and internationally, working closely with clients to provide innovative solutions while crafting projects with timeless proportion, scale and details. We seek positive and inventive individuals to join us that have a passion for design of all types, from architecture and art, to interior design, made objects and beyond. We work primarily on high-end residential projects, along with small commercial and development projects. Each project that we undertake is marked by our inventive approach to design and our dedication to client satisfaction. From initial concept to construction documents and through construction, we are always designing, working with the client to achieve the goals set forth together for their project. Proficiency in AutoCAD, Vectorworks and/or ArchiCAD, Sketchup and Photoshop is preferred. Please send cover letter, resume and portfolio, along with references for consideration. Oversee proper care and maintenance of six National Register of Historic Places-listed properties. Design, revise and implement cyclical maintenance of structural and mechanical systems and equipment for all properties, including HVAC, fire suppression and back-up generator. Work with Director of Historic House Museums to ensure proper and timely oversight of all capital projects related to the historic properties owned and managed by Historic Columbia and to ensure that Department of the Interior Standards for the care of historic structures are met. Oversee all security functions. Ensure that proper systems are in place and functioning to standard. Assist Historic House Museums with developing annual budget, soliciting special project estimates and developing RFQs and RFPs for capital improvement and/or maintenance projects. Adhere to Historic Columbia’s Ethics Policy and Human Resources Policies and Procedures Manual. Two years of technical or college education. Certifications and supervisory experience preferred. Basic knowledge of electrical systems, carpentry, plumbing and landscaping. Must be able to climb ladders and stairs, be able to lift 50 pounds and to work outdoors. This is a full-time position with health benefits. Salary is commensurate with experience. 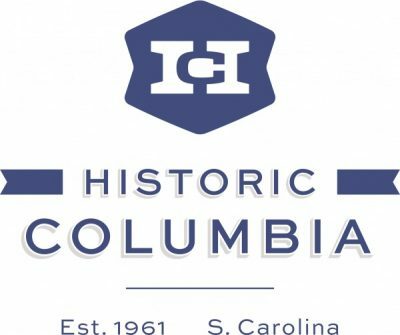 Remit letter of interest and resume by February 28, 2019 to HR Department, Historic Columbia, 1601 Richland Street, Columbia, SC 29201 or email: dgiles@historiccolumbia.org. Historic Columbia is an Equal Opportunity Employer. LS3P is seeking bright, ambitious individuals to join our team. With over 50 years of design excellence in diverse projects across the Southeast and beyond, we offer exciting opportunities for staff to develop career and personal goals within a fast-paced, inspiring, and professional environment. We are currently seeking an Architect II for our office in Columbia, SC. Successful candidates will be passionate about design; detail-oriented; efficient; devoted to quality output; able to work independently, as well as in a team environment; possess the organizational skills to prioritize tasks and handle multiple deadlines; and have excellent communication skills. Qualified applicants possess an Accredited Professional Bachelor’s or Master’s degree in Architecture; SC Registered Architect; a progressive work history with 8+ years of experience in an architecture firm, including 2-3 years of applied experience using AutoDesk Revit Architecture, in a professional design practice. Design experience in public, private and/or higher education is preferred. Experience with graphics software such as Google SketchUp and 3D Studio Max Review Architecture, in a professional design practice. LEED accreditation or interest in achieving accreditation is preferred. SC Registered Architect or ability to become SC Registered Architect within 6-months of hire is required for Architect candidates. Design experience is necessary. Experience with graphics software such as Google SketchUp and 3D Studio Max is an advantage. Technical production skills are necessary and require a demonstrated ability to effectively produce design and construction documents. Understanding of sustainable material selection for LEED compliance. A cover letter, resume with salary history and salary expectations and portfolio demonstrating Revit skills and rendering abilities is required. LS3P is pleased to participate in a variety of employee benefits; however, we do not offer relocation assistance/ reimbursement for this position. Bachelor’s Degree or Master’s Degree in Architecture & Licensed Architect. This position requires sufficient physical ability, with or without reasonable accommodation, to perform work in an office setting; which includes, extensive employee contact, frequent interruptions, the ability to stand or sit for prolonged periods of time, to occasionally stoop, bend, kneel, crouch, reach, and twist, to lift, carry, push, and/or pull light to moderate amounts of weight, to operate office equipment requiring repetitive hand movement and fine coordination including use of a computer keyboard, to verbally communicate to exchange information, to travel to other locations using various modes of private and commercial transportation, to verbally communicate to exchange information with or without accommodation, to see in the normal visual range with or without correction, and can hear in the normal audio range with or without correction. Please tell us if you require a reasonable accommodation to apply for a job or to perform your job. Examples of reasonable accommodation include making a change to the application process or work procedures, providing documents in an alternate format, using a sign language interpreter, or using specialized equipment. Qualified applicants must apply at http://www.ls3p.com/joinus/. LS3P recognizes the value of diversity and inclusion in our workplace. We are committed to equal opportunity and believe that inclusivity benefits us all. We actively seek and consider all qualified employment applications without regard to race, color, religion, gender, age, national origin, disability, sexual orientation, sexual preference, partnership status, gender identity, pregnancy, childbirth, or related medical conditions and protected veteran status, status of participation in the U.S. Armed Services, or any other status protected by federal, state or local law. Individuals who hold legal work authorization applicable to employment in the United States will be considered without regard to citizenship/alienage. LS3P is an Equal Opportunity Employer, an e-Verify Employer and committed to Affirmative Action. LS3P encourages women, minorities, individuals with disabilities, and members or veterans of the U.S. Armed Services to apply. LS3P is seeking bright, ambitious individuals to join our team. With over 50 years of design excellence in diverse projects across the Southeast and beyond, we offer exciting opportunities for staff to develop career and personal goals within a fast-paced, inspiring, and proessional environment. We are currently seeking an Emerging Professional II for our office in Columbia, SC. Successful candidates will be passionate about design; detail-oriented; efficient; devoted to quality output; able to work independently, as well as in a team environment; possess the organizational skills to prioritize tasks and handle multiple deadlines; and have excellent communication skills. Demonstration of licensure track is desired and 2-3+ years of experience in an architectural firm. Technical proficiency in the following is required: AutoDesk Revit Architecture, Adobe Creative Suite, AutoCAD, and Microsoft Office. Experience with graphics software such as Google SketchUp, 3D Studio Max, Lumion and/ or other 3D imaging software is an advantage. Technical production skills are necessary and require a demonstrated ability to effectively produce design and constructions documents. A cover letter, resume with salary history and salary expectations and portfolio is required. Qualified applicants are required to possess a B.Arch or M.Arch degree from an accredited architectural school or foreign equivalent.